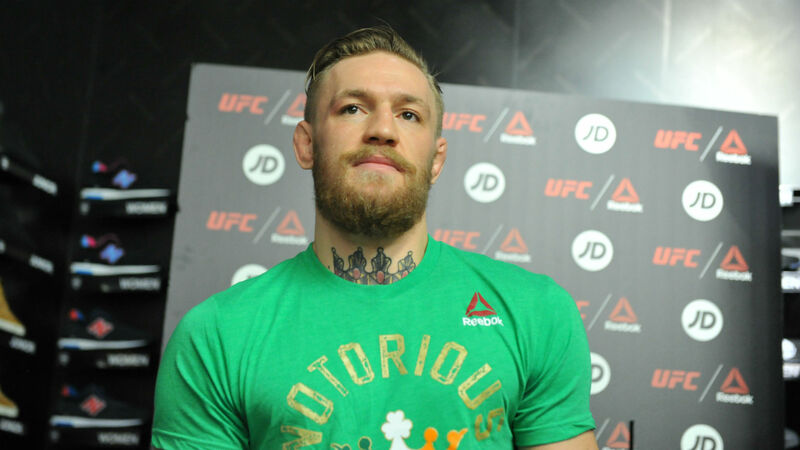 From the looks of things, Conor McGregor will be making a UFC return sometime soon. TMZ published a short interview with McGregor on Tuesday and asked him if a return to the Octagon is in his future. McGregor didn’t comment when asked if current lightweight champion Khabib Nurmagomedov would be the opponent. Nurmagomedov is expected to be the person standing across the cage from McGregor if a deal is reached. The McGregor-Nurmagomedov feud kicked into high gear during the week of UFC 223 in April. McGregor and some of his associates went after a bus carrying UFC fighters. He was looking for Nurmagomedov, who got into a confrontation with McGregor teammate Artem Lobov at a hotel. The former featherweight and lightweight champion threw a dolly through the front windshield, injuring fighters Ray Borg and Michael Chiesa. Nurmagomedov went onto win the title against Al Iaquinta at the event. McGregor got arrested for the incident. Last week, he pleaded guilty to one misdemeanor count of disorderly conduct. Speculation has been the UFC is pushing for McGregor vs. Nurmagomedov to take place at UFC 229 on Oct. 6 in Las Vegas. Other scenarios include UFC 230 on Nov. 3 at Madison Square Garden in New York or UFC 232 on Dec. 29 in Vegas.